Welcome to the end of the term, OSU Beavers!! The term is almost over with (phew), and hopefully you’ve finally acclimated yourselves to the academic agenda of your life! Today, I want to give you a few tips on how to continue on the path to a successful year – whether it be academically, professionally and even personally. Establishing healthy habits can protect you from the harmful (dreadful, really) effects of stress. As students, we know, first hand, the potential brutal effects of stress – so here are a few tips on how to curb those effects! 1. Keep in touch with family and friends! A daily dose of personable socializing is a great remedy for the ‘blues’. Even if you aren’t feeling up to the socializing aspect of things – do it! Ever heard of the saying “a smile is contagious” – it’s true! The more you surround yourself with productive positivity, the more you’ll personally feel the positive effects. The benefits of staying connected can range from feeling supported, staying mentally sharp, developing a more active lifestyle, reducing (overall) stress, and finally enhancing your sense of well-being and happiness. Woo Woo. This is something I cannot emphasize enough!! Consistent daily activity will make a world of a difference, literally! It doesn’t have to be anything extravagant, just 30 minutes a day of some light-moderate cardio will make a difference. I know most of you walk to and from campus multiple times of day – this is fantastic (and counts as light cardio), but setting aside 30 minutes a day (or even every other day) to do some moderate to rigorous exercise (cardio) not only accelerates your metabolism, but it also gives your entire body a chance to revive itself – leaving you feeling ‘pumped’ and ‘refreshed’! Easier said than done. I know – but nevertheless, make a conscious effort to ‘chill’. Remember to take a few deep breaths, breath in through your nose, and out your mouth – this contraction of the lungs strengthens the respiratory muscles and improves the oxygen supply to your body. JUNK food consumption and erratic lifestyles end up causing lower oxygen supply within the body – which ends up making you feel tired and restless. Deep breathing can – wait for it… DETOX the body. This one has been a head turner (lately) due to all of the detoxifying fads. How? A good supply of oxygen to your body helps flush out all of those toxins, which then also stimulates healthy and efficient body functioning. Woo Hoo! One last thing on deep breathing (although I could go on forever) – regular deep breathing can actually help to reduce hypertension, fatigue, headaches, feelings of depression, panic, anxiousness (testing anxiety eh?? ), tension, hyperventilation etc.! I lied – one last thing; interested in sleeping better? Try taking a few prolonged deep breaths prior to sleeping. It relaxes the tension throughout your body, and slows the heart – enabling you to finally feel relaxed. So, how does this help boost your performance academically and professionally? * Being able to manage stress enables you to take on more projects (because you’re completing previous projects) confidently, and execute them in an efficient and timely manner. * It allows you to perform more efficiently – engage more effectively and empower others around you, thus creating a more productive working environment. * Being healthy reduces physical and mental stress – reducing stress enables you to take on a whole new refreshed look at things going on in and around the workplace. It sparks creativity, innovation and advancement! * Prepping for an interview?? The less stress you are feeling mentally and physically, the better the result will be for that interview – not only will you feel great, but the employer(s) will notice too. * Studying away for an exam (or 5)?? Get ACTIVE. The more physical activity (and sleep) you pursue, the better memory recall you’ll have – that my friends, is a fact. That’s not to say go to the gym for hours on end and sleep the other part of the time – you have to actually put in the study time. Happy Finals Week! Good luck and stay warm! Posted in Health, Just for fun, On-the-Job Tips, Uncategorized, Workplace Success. Get Ready For National Panic Day! Are you feeling really panicked, stressed out, or fed up? With dead week and finals week right around the corner, how could you not be? Well hold it in a little longer and then this Saturday, let it all out! Each year on March 9th Americans celebrate National Panic Day. Panic and stress are part of our everyday lives and unfortunately, you can probably count on experiencing them even more once you start your first full-time career-related position. You may be feeling like college is so hard that anything else will be easy in comparison, that once you let go of all those topics you don’t care about, and once you aren’t trying to balance so many extra-curricular activities, coursework, and a healthy social life, sometimes in addition to a part-time job, then you will be able to relax and just focus on your one new job. Well what we must realize is that this will be a whole new environment, with all new people to feel out and engage with and impress. You will also most likely really care about this job and being successful within your new company. In college you could start fresh every term and did not have to worry about getting fired for making a little mistake or having average or below average performance. I do not mean to discourage you, most people love being out in the “real world” and it is that hope that you will continue doing well and be able to stay long term that this stress or panic comes from. What you need are some great tools in your belt to help you handle that work related stress or panic! 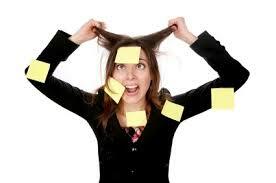 First, it is important to know some of the common causes of stress or panic in the workplace. That way you can handle them before they really start to bother you. Some jobs are just more stressful – like when big decisions need to be made that will affect a lot of other people, or constantly working under a deadline. Breathing Exercises: Stop your work for a while and take some deep breaths. This will help clear your head so you can put things in perspective. Deep breathing combined with some light stretching helps to calm your body and has been proven to decrease stress. Take short breaks: You do not always need to be glued to your desk to be efficient at work or be seen as efficient by your coworkers. Get up and take a little walk or pick up a book for ten minutes. Do not think about your work tasks during this time. Again, it is all about rejuvenating yourself and clearing your head. Prioritize: Make a list of all those things buzzing around in your head that you have to do, then decide which ones are the most important and put them in this order. Next, allot a certain amount of time for each one and make a point of getting it done in that amount of time! This will help you pace yourself, and make you let go of a really difficult task once you have given it your best effort. Keep smiling: Just keep a smile on that face! The research proves that you can fool even yourself by keeping a smile on your face. When you are happy you smile, but it also works in reverse. Doing your best to make a genuinely happy face will trigger that emotion inside you. Take a time-out: Apply the 10-second rule. It helps to just have a quick moment to gather your thoughts before you react. Swallow down that quick snap, literally swallow, and ask someone to hold for just a moment. Maybe go to the bathroom. Just grit your teeth and focus on that time to remove yourself. Use the other person’s name: Using names makes everyone feel more responsible for their actions and makes everyone feel more connected to the conversation. It will also make you sound more sincere. Studies have also shown that saying someone’s name helps you to be more empathetic and really acknowledge the other person’s point of view. 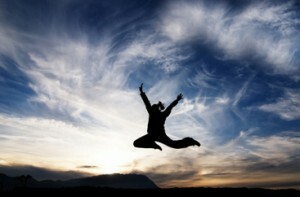 Remember, taking graceful action is empowering! If the other person is acting immature or out-of-control, it will make you feel more in control of the situation to be the bigger person. Vent outside of work: Write your feelings down then destroy the evidence. 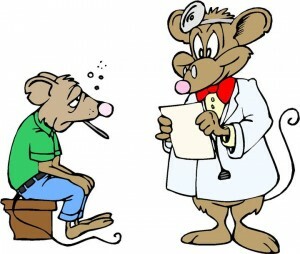 Share your woes with a patient friend, but be sure to let them share their problems with you as well. Ask someone you trust for an objective assessment of the situation. Then pat yourself on the back for rising above! It is important to let go of your stress or anger at the end of each day. The nice thing about most jobs is that you do not have “homework,” so make sure you recognize that time outside of work is you-time, and do not let your to-do list distract you. And of course, if nothing else works then just let it out! Saturday – run around in circles, pull your hair out, and exclaim “I can’t take it anymore!” Panic Day is your day! Posted in Health, Just for fun, On-the-Job Tips. Ever see random people standing on the corner of a street with a sign that says: “Free Hugs”? 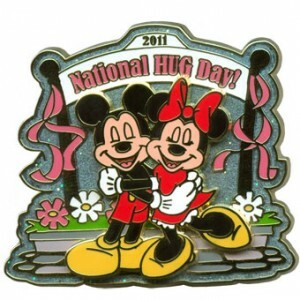 Well believe it or not National Hug Day is a non-public holiday that occurs on the 21st of January. The purpose of this holiday is to help everyone show more emotion in public by offering “free” hugs to anyone and everyone you want. Kevin Zaborney is credited for creating this holiday. An interesting fact about National Hug Day is that the date, January 21 marks the midpoint between Christmas and Valentine’s Day. Studies show that at this midpoint everyone is at their emotional low. With National Hug Day everyone who is embarrassed to show their feelings in public can change that with a simple hug whether it is from a family member, someone you know or even from a complete stranger. Wondering what the benefits of hugging are? Studies have shown that human contact has many benefits; it improves both physical and psychological development. Hugging also helps to build and maintain healthy immune systems. Hugging someone can also help them if they are having a bad day; you never know what a simple hug can do for someone. This National Hug Day is practiced all over the world because hugging is simply a kind gesture. So don’t forget to participate in this Holiday, and don’t forget that even though it may not be National Hug Day someone could always use a hug! Posted in Health, Just for fun. Emotional Intelligence: What is it? And why do employers want emotionally intelligent employees? Have you ever worked with someone who had mood swings that affected the whole office? Or maybe you had a colleague who often got angry in meetings, sparking tension and disagreements? Have you worked with someone who always knew the right thing to say to make you feel better? Have you been supervised by someone whose positive attitude infected the entire workplace culture? These are examples of how emotional intelligence can impact the workplace, whether your workplace is an office, a restaurant, a store, or a factory. Very few people work alone. Most people work on teams or in other kinds of groups. So, employers are looking for people who can navigate those teams well and improve the team by being a member of it. For all these reasons, emotional intelligence is a huge plus for a potential candidate. So, what exactly is emotional intelligence? 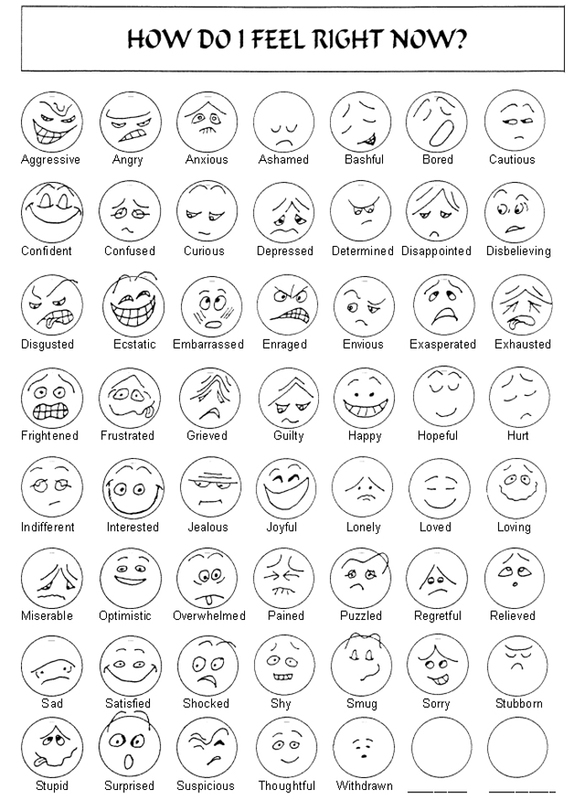 The technical definition is that it measures the level of ability an individual has in regulating his or her own emotions and moods as well as understanding and considering the emotions of others. People with high levels of emotional intelligence are adept at adapting to stressful situations and having difficult conversations. They can regulate themselves emotionally and help others to regulate themselves by offering care or respect or positivity. Emotionally intelligent people are good at sensing what other people are feeling and knowing how to react to those feelings in order to reduce tension and conflict. You can see why this would be a good quality to have with your friends and family, but why does it matter at work? Well, there are certain skills associated with high emotional intelligence that correlate to success at work, including social skills, self-awareness, self-control, and motivation. High emotional intelligence also coincides with the ability to manage stress. Work can be stressful, and employers want to know that their employees can handle that stress in productive ways. They also want to know that their employees are self-aware enough to know how other perceive them, including clients and customers. How can you cultivate emotional intelligence? Treat your co-workers with respect and build relationships with them. Go to work with a positive attitude whenever possible, and if you’re having a bad day, let people know that you’re struggling. If you feel yourself getting angry or frustrated at work, take a moment to examine why before reacting. You will be surprised how often just thinking through a problem or conflict that is upsetting before you react will eliminate the power of the feeling associated with it. Try not to blame others for workplace mistakes but offer solutions to problems. Finally, in your interactions with your co-workers, be in tune with them, ask them how things are going, and actually care about the answer. There is nothing as frustrating as working with someone who only pretends to care. If you build caring relationships at work, you will build your emotional intelligence, and be able to exhibit this at work and in future interviews. With some luck, taking the time to care about those you work with will lead to other opportunities, through referrals and recommendations. There are many different kinds of intelligence, and emotional intelligence is a useful one to work on increasing. Posted in Health, Interviewing Skills, Networking, Workplace Success. 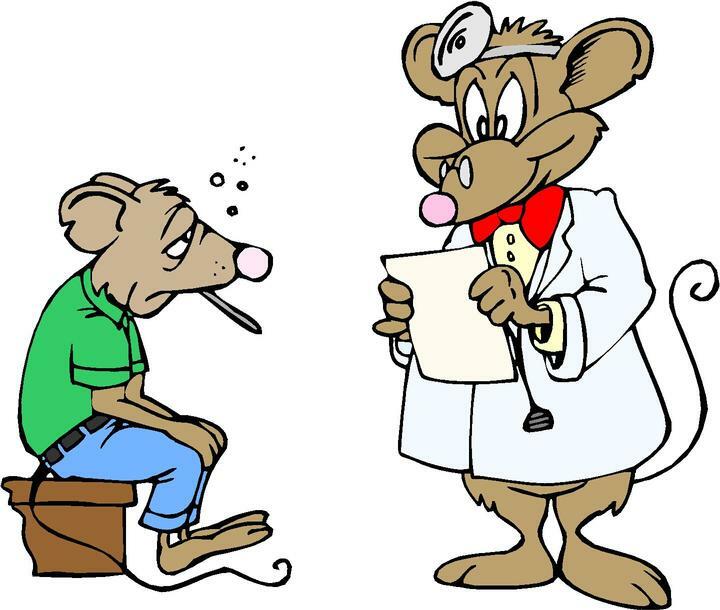 So I am pretty sure every one has a fear of catching a cold or getting super sick before midterms and finals – well you are not alone. The flu season is definitely here; you can hear it everywhere you go. Sniffling of the nose, coughing sporadically in classes and never ending sneezes. No one wants to catch it and have to stay home sick and miss classes or work. So here are a few ways to keep safe from sickness. – Thinking positive always helps – mind over matter. Remember if you are sick, please cover your mouth and blow your nose! With these tips I hope everyone can stay healthy and if you are sick I hope that you get better in time for finals. It’s getting cold out, so stay warm.